This Funny Short Riddle is for Kids. In this Funny Short Riddle, you have to guess something which you can server but never eat. It looks Funny Question but it has few valid answers. Lets see if you can come up with a valid answer and solve this Funny Short Riddle? 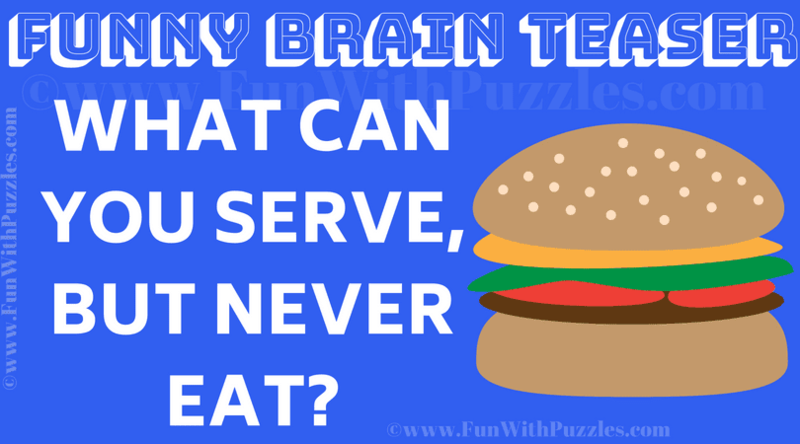 Can you solve this Funny Short Riddle? Answer of this "Funny Short Riddle", can be viewed by clicking on answer button. Please do give your best try before looking at the answer. The Answer is "A Tennis Ball" Or a "Badminton shuttle"